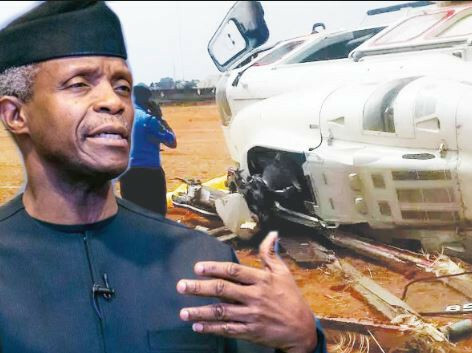 We have concludes field investigation over Helicopter crash – AIB – The Accident Investigation Bureau (AIB) said it has finished field examination concerning the helicopter crash involving Vice President Professor Yemi Osinbajo on Saturday, February 1. The agency said that the fundamental report, which would be prepared soon, would unfold the reason for the occurrence, THISDAY reports. General supervisor, public affairs of the department, Mr. Tunji Oketunbi, said the organization sent its examiners to the accident site on Sunday, February 2 who organized field examination concerning the occurrence. He, in any case, said that AIB couldn’t find out the reason for the occurrence yet & encouraged the general population and industry experts to abstain from making remarks on the accident until the result of the initial report. AIB in prior proclamation by its official & CEO, Akin Olateru, pledged that it would complete point by point, intensive & prompt examination concerning the accident. As per the announcement, 12 people, including Osinbajo, government authorities & crew were on-board the helicopter when the accident happened. He nonetheless, noticed that the examination was not to allocate fault, rather to discover why the occurrence happened & furthermore make safety suggestions in a way such won’t happen again.